Did this divorced actor just confirm his relationship? MUMBAI: Although Farhan Akhtar and Shibani Dandekar haven’t officially admitted to their relationship yet, their public appearances and social media PDA are proof of their love affair. They travel together; they walked hand-in-hand at Deepika and Ranveer Singh’s reception. Speculation of the couple dating was confirmed when Shibani posted a picture on Instagram holding the hand of a man whose back was facing the camera. The face wasn’t seen, but thanks to the buzz around the couple, we could determine that it was Farhan Akhtar. Post that, both Farhan and Shibani have been putting pictures with each other on social media. 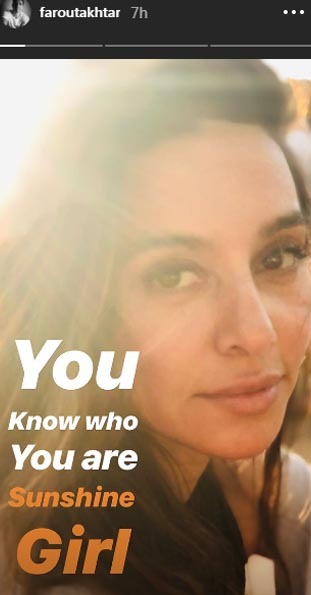 Farhan recently posted a picture of Shibani on Instagram and captioned it saying, ‘You know who you are Sunshine girl’. Shibani had also posted a picture with Farhan on Instagram, and as always, her caption, ‘oh Hi @faroutakhtar #bumped’, had us all smiling. For those don’t know, the couple met on the sets of 2015 reality show, I Can Do That, which was hosted by Farhan. Shibani was a participant, and the other contestants included VJ Bani, Bharti Singh, and Gurmeet Choudhary.